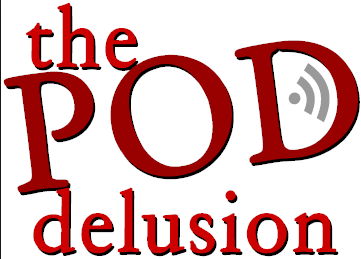 On Saturday I was privileged to not only appear on the Skeptics in the Pub Panel with Sid Rodrigues of London SitP and Michael Marshall of the Merseyside Skeptics society at QEDcon but I was also on a live recording of the Pod Delusion – I think my 4th appearance. I do a talk about Autism and quack therapies for it and within that talk I mention vaccinations as a purported cause for Autism. Of course, we know that’s not the case and, historically, in order to fit my talk into 45 minutes to an hour my slide on the MMR vaccine has been curt. It simply reads ‘MMR – I’m sick of MMR’. I then go into a short rant about how MMR should not and should never have been part of the dialogue when it comes to talking about the aetiology of Autism. However, I may have to alter my talk since MMR is, again, a blisteringly hot topic. MMR is a vaccine intended to prevent Measles, Mumps and Rubella. I could rehash the story of discredited former doctor Andrew Wakefield and his unethical studies on children in order to peddle his own single vaccinations, but if you’re unaware of this then can I recommend Darryl Cunningham’s comprehensive comic on the subject, available as a link on the show notes. This will give you the background you need if you don’t already know. The media frenzy surrounding Wakefield’s study results has, without a doubt, clearly influenced the conversation around Autism and vaccines in general. Unfortunately, the British propaganda slogan ‘careless talk costs lives’ is true in cases where journalists take a story like this and run with it. For years and years and years. Even in January this year, we had a story in the Daily Mail with the headline ‘American parents awarded £600,000 in compensation after their son developed autism as a result of MMR vaccine’ – an article by David Gardner – an exceedingly misleading headline given the article itself acknowledges that the decision doesn’t apportion blame or lay fault for the child’s condition with the actual vaccine. What many parents don’t realise is that measles is highly infectious and can lead to blindness and death. Most people, since the measles vaccination was introduced in the UK in 1968 (63 in the US) haven’t seen a child really suffer with the illness as herd immunity quickly strengthened. Whooping cough is another deadly illness, with 5 children dying in 2012 – children too young to be vaccinated (under 13 months old) are suffering from the reduction in herd immunity. Between January and June 2012, there were 2,466 confirmed cases. 12 years (correction – should be 15!) since Wakefield’s study was first published, we’re now seeing the deadly and injurious results – an increase of measles cases can be clearly seen since then. In Swansea, at the time of writing on Thursday 11th April, 693 children have been infected. But now Wakefield is on the offensive. He claims, on Age of Autism dot com, which has, this morning, been republished on the Independent website, that the British Government is culpable for the Measles outbreak, since they have denied parents the single vaccines he was championing. The trouble with single vaccines is that there’s little evidence of a benefit for them. He claims they are not in use solely because the government is trying to cover up the dangers of the combined vaccine and this is motivated by money. However, single vaccines involve delaying protection for children, risking missing the doses and attrition and injecting them three times instead of just once. Adam Finn, quoted in the Independent today, said “his proposal for single vaccines … came straight out of his head…. single vaccines are used in poorer countries that cannot afford MMR. No country in the world has switched from MMR to single vaccines.” What’s most interesting in this statement, for me, is that Autism is in fact found in every culture and every country in the world and chrildren are diagnosed with autism whether they’ve been given a vaccination or not. MMR is given at 13 months old but autism can now be diagnosed as early as 6 months and most parents notice some kind of developmental delay before their child reaches 12 months of age. Only last week the centre for disease control in the US released a new study that confirmed what we already have enough evidence to assert with good confidence levels – those with autistic spectrum disorders are no more likely to have had more jabs than the other – Frank Stefano, the lead author, stated his study of one thousand children simply found no relationship between vaccine antigens and ASD. So why does this continue? Why must children suffer from ignorance? Conspiracy theories are attractive and grieving parents who haven’t yet come to terms with their child’s differences – differences they never anticipated – will grab on to anything to take away the blame. It’s cathartic to suggest an outside agent – the government – pharmaceutical companies – are to blame. To put this into context, these are the same people who told the National Autistic Society in May 2012 that 74% of people caring for someone with ASD get no support and only 28% say they receive good info where to go for support and help. The 72% who get no help and information are often the ones sucked in to alternative medicines that are often harmful and very expensive and end up with an ill, frightened and traumatized child. If you can, tell just one parent about the vaccine scare and the truth behind it- tell them vaccines are rigorously tested and if they want to really know about vaccines they should read a book on the history of vaccines and not just do bit of Googling and call it research. The websites about vaccines seem so plausible and are pseudoscientific enough to give them a real air of credibility. A little knowledge is a dangerous thing. This has been Tannice Pendegrass, reporting live at QED for the Pod Delusion.